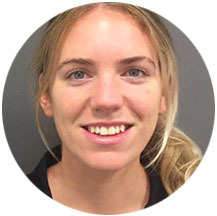 Our Accredited Exercise Physiologist, Erin Keating discusses setting goals for your health. It’s that time of year again where the days are longer, the weather is warmer and the silly season is quickly approaching. 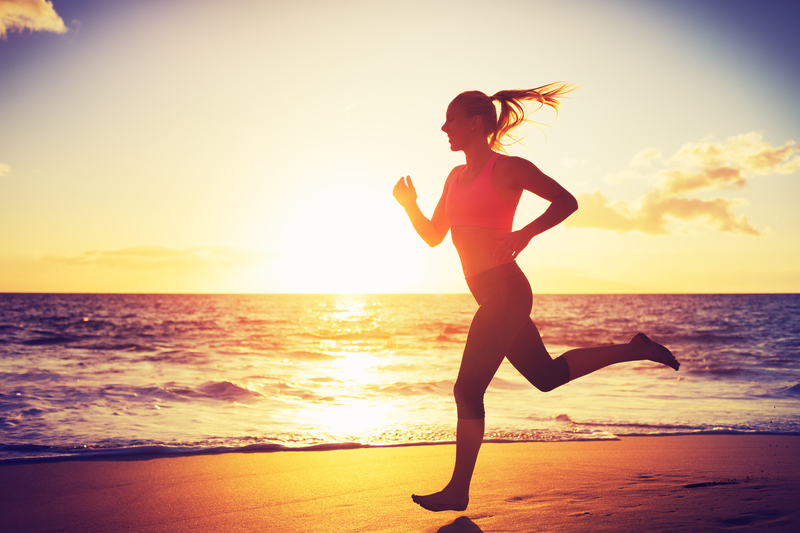 With summer just around the corner it is only natural to start thinking about how to begin an exercise program that will help you feel and look your best for all the great activities planned during the warm weather. So, before we jumping on board with the latest exercise trend or join the nearest gym. Take a moment and I’ll show you how to get the most out of your exercise program to ensure you are on the right course to achieving your fitness and health goals. Before we construct your exercise plan, we need to think about what it is you want to accomplish from your exercise regime, how we will measure your success and what goals you want to crush! This is where we discuss SMART goal setting. When setting goals there are a number of elements, to consider in order to make them as clear and as achievable as possible. 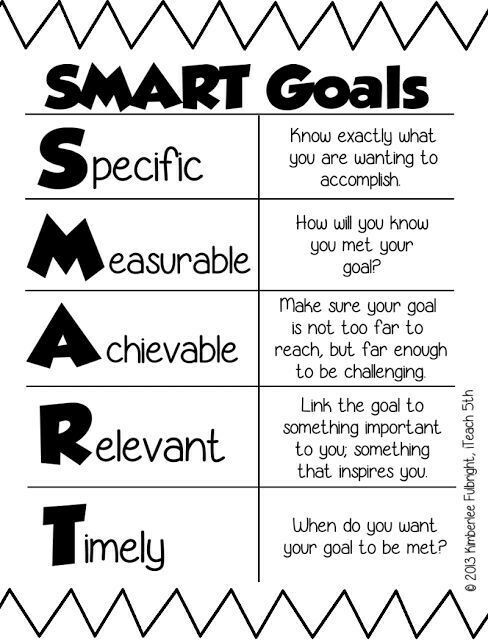 By using the SMART acronym and working your way from “S” to “T” we can break what you want to achieve down and bring structure to goal setting. “I will walk 20 minutes a day, 5 days a week, for the next 3 weeks”. Whats great is Alicia’s goal is clear, it states what activity she will do which is walking, how it’s to be measured through both time and days per week. Alicia wanted to increase her daily steps for the next month, by following this SMART goal over the time frame of 3 weeks she will be able to achieve her fitness goal. SMART goals can be set weekly, monthly or twice a year, as long as you follow the principles you will be well on your way to achieving your health and fitness goals. So you’ve sat down to write your SMART goals, but being new to exercise you don’t know where to begin. 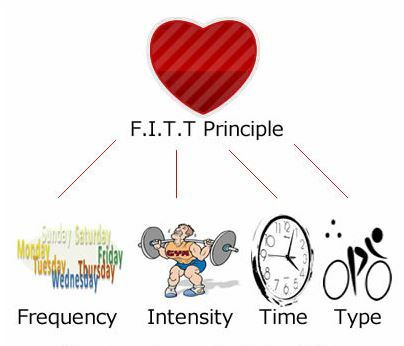 Let me introduce you to another helpful acronym we can implement together: the FITT principle. Following the FITT principle helps you to design a clear and definitive plan of action that considers all aspects of an exercise routine, making goals more specific and measurable. By answering these questions you are able to better plan your program, set goals and achieve results. It can also help you adjust your workouts over time to avoid boredom, plateaus and risk of overuse injuries. Change the type of workout by swimming, cycling, running or lifting weights. The way in which you manipulate your program will always come back to what goal you are trying to achieve for your health and fitness. This is the reason we start by establishing our SMART goals first. You can never have too many goals, but you can have unattainable goals, so remember to combine the principles of SMART and FITT and you will be on your way to a fitter, stronger and healthier you. If you need any further guidance on starting an exercise plan or getting the most out of your exercise sessions to achieve your goals, then call the clinic on 029851 5959 or come in and see one of our Exercise Physiologists at Sydney West Sports Medicine. With world class facilities and experienced Practitioners, Sydney West Sports Medicine is proud to offer a range of high quality treatments for injury rehabilitation, sports performance and health management. © 2018 Sydney West Sports Medicine.